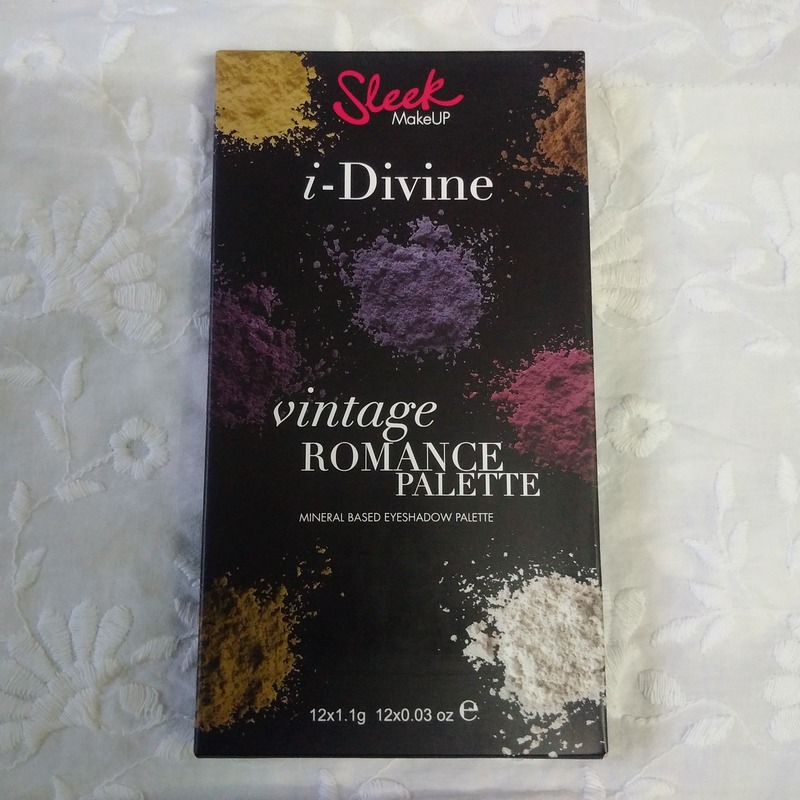 The second i-divine eye shadow palette I ordered is called “Vintage Romance” – adorable name, right? Wait till you see the shades it has! 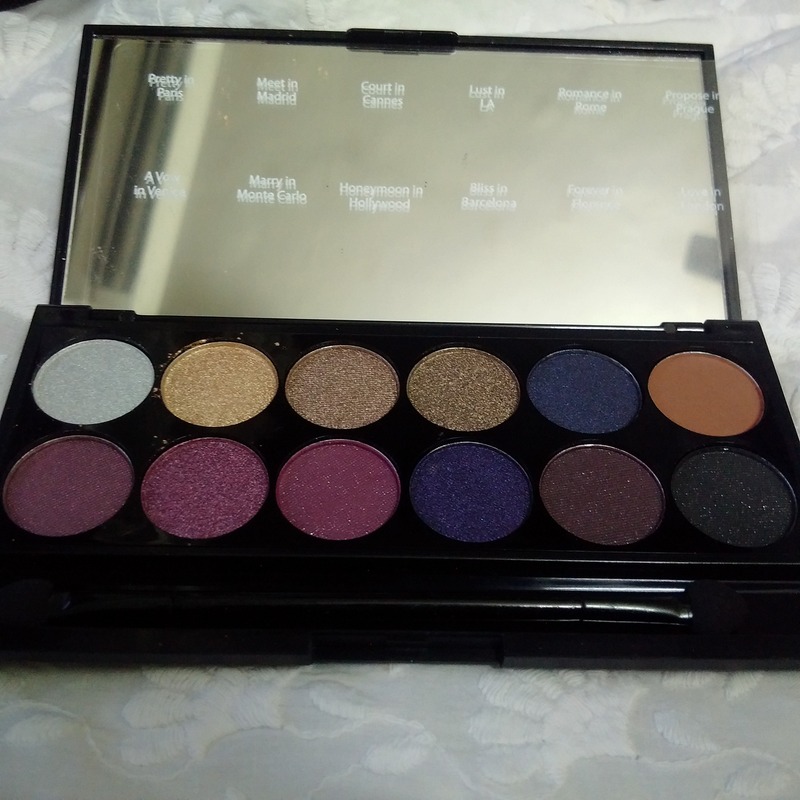 Like I mentioned earlier, Sleek Make up has like a dozen eye shadow palettes with gorgeous combinations to choose from – I went for Vintage Romance and Acid, basically because Acid was mostly matte and bright colors; Vintage Romance because it has the shimmery golds and lovely dark shades that would complement my skin tone a lot. 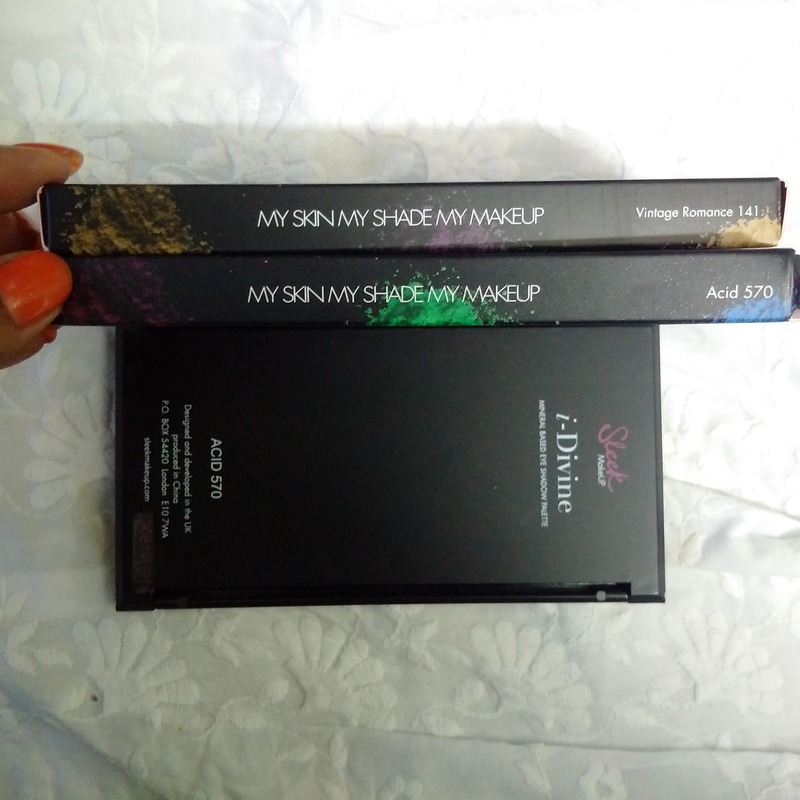 The brand says “My shade, my make up” and lives up to it as they have make up for all skin tones – SO very pigmented! 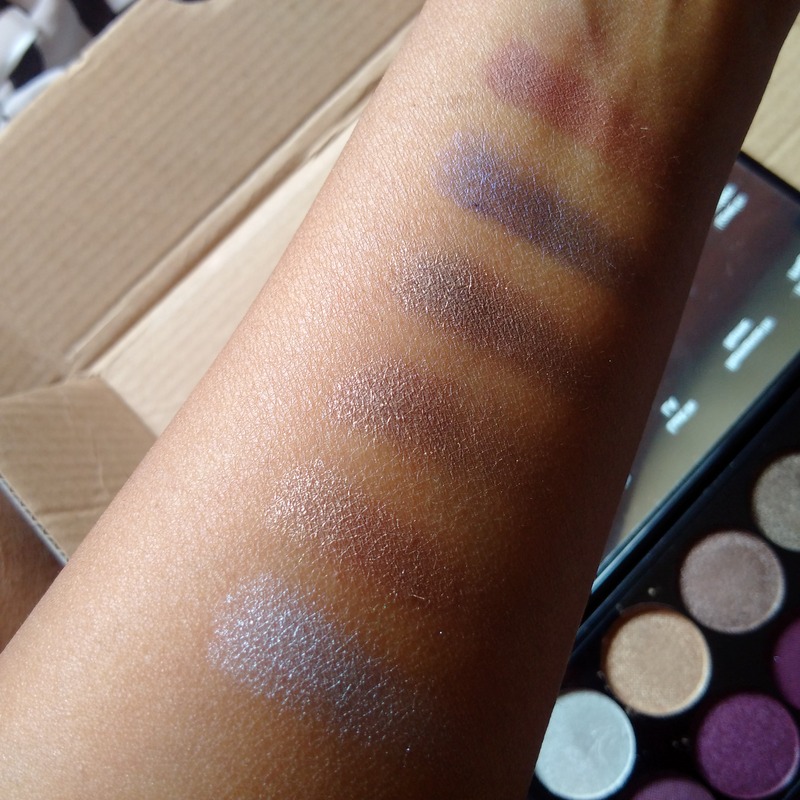 Now let’s get to the swatches of these beauties! The first color from the bottom is called “Pretty in Paris” It is a shiny moonlight silver – which would look amazing for inner corner of the eyes or to highlight any part of the eye-shadow. The next shade is “Meet in Madrid” – It is a proper Gold color which looks gorgeous on my skin as I have warm undertones. It can be used by itself or with other colors too. The next shade is called “Court in Cannes” it is a unique shade – a bit of a mix between gold and bronze and looks very pretty too. This is a third Goldenish shade in the palette called “Lust in LA” – trust me, it is a beautiful color, sort of a dark gold. If you notice, the 3 colors are kind of similar, but if you try them out, each has a different outcome. The next shade is called “Romance in Rome” – it is a navy bluish blackish shade. Would look amazing while doing Smokey eye look. The last shade in the first row is called “Propose in Prague” – it is a matte medium brown color that can be used all over the lid as a base – I tried it and it works very well for me. 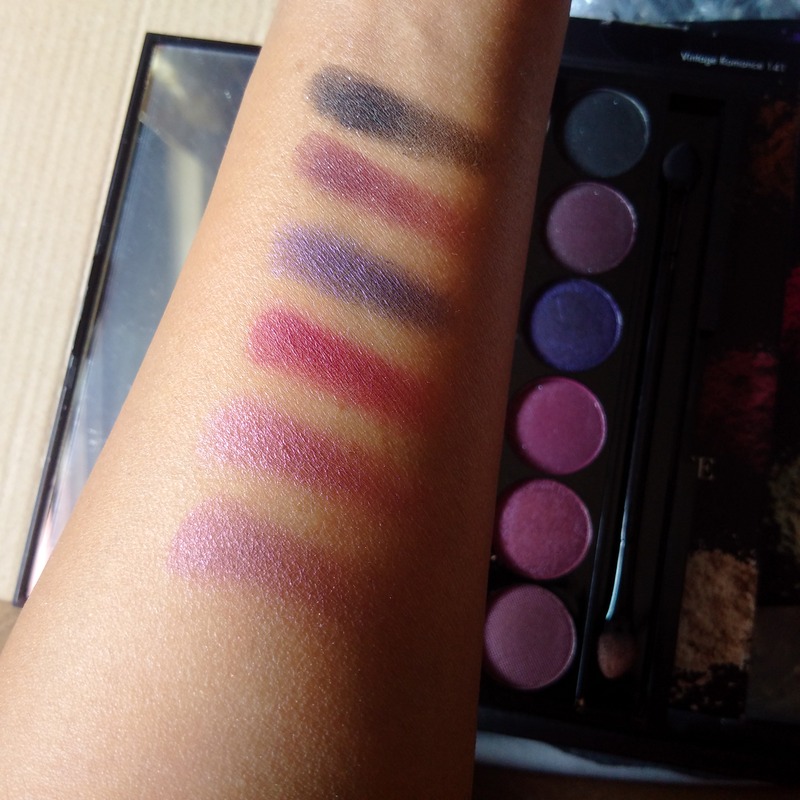 The Second row of both the palettes have darker shades as compared to the first row, so they show much better on my skin 🙂 at least in photographs, in person – they are very much visible and look wonderful. Again I will start from the bottom most color, it is called “A vow in Venice” – it is kind of a burgundish pink or onion pinkish – looks very pretty. The next shade is also similar to it, called “Marry in Monte Carlo” – this one has medium shimmer in it. 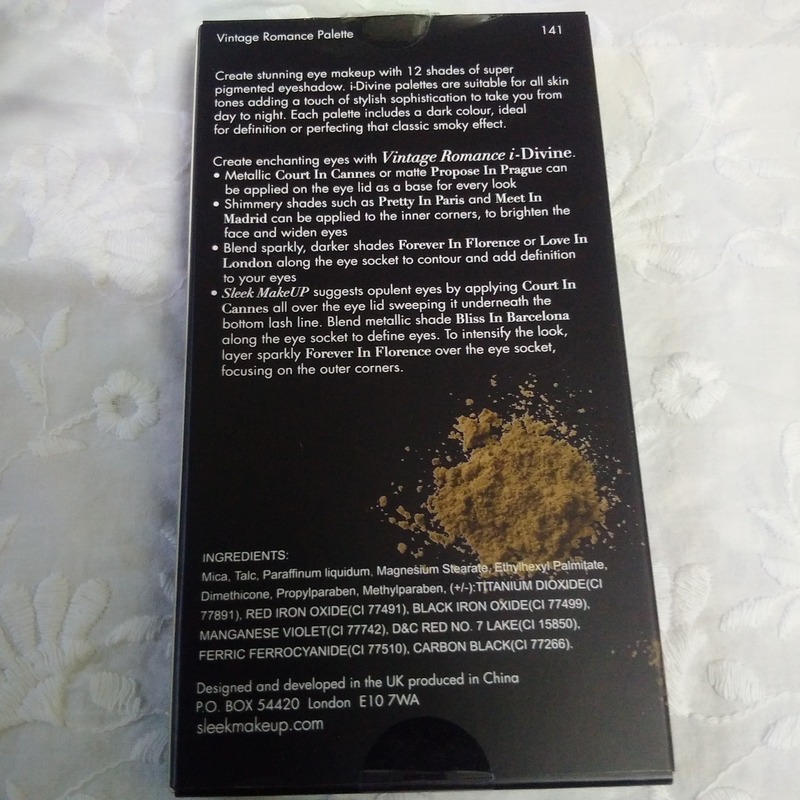 The third burgundyish shade called “Honeymoon in Hollywood” has larger shimmer particles. The 3 shades can be used together for a more dramatic look. These colors would look way too pretty on olive/tan skin tones. 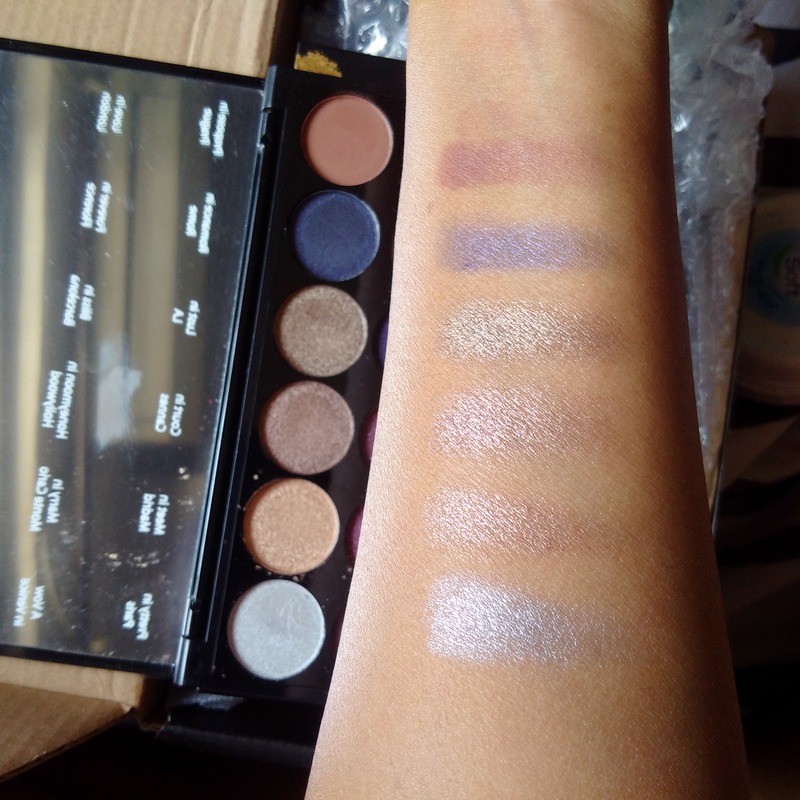 This palette is built for people with warm undertones. All Indian women could use a palette like this, thanks to the gorgeous golds and burgundy that would look amazing during the wedding season! + Smokey eyes! With a price tag of 12$, who wouldn’t want to invest in these?? Did you like this post? Did I forget to include something in this post? Please let me know. 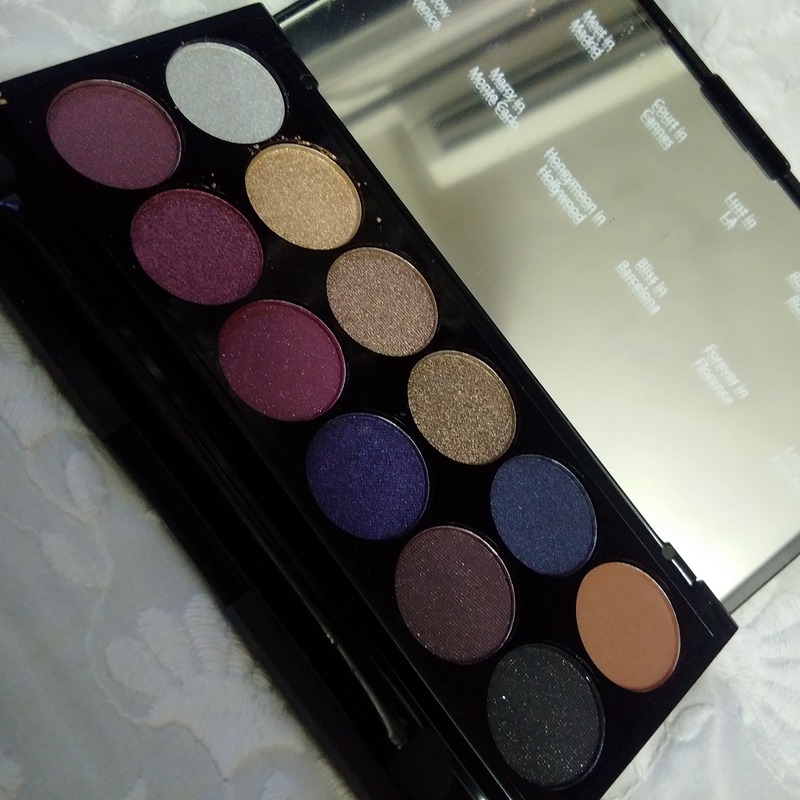 Tell me about your favorite eye shadow palettes in the comments section below! 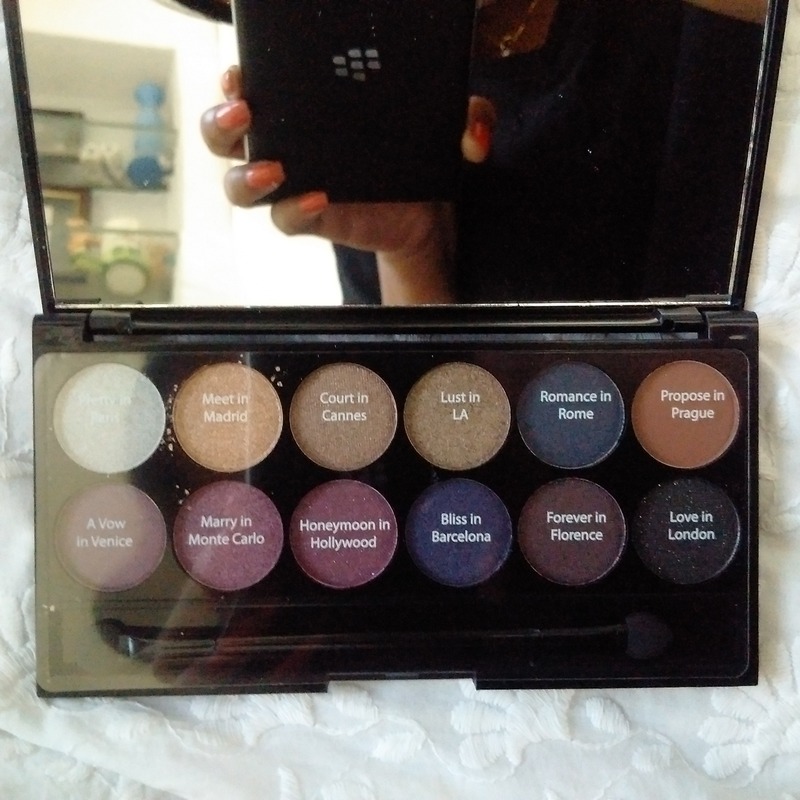 I love the colors in this palette, beautiful for day and night! Great post! Hiya, yes.. these colors are amazing! I was confused between this one and Storm, and eventually chose this one over it 🙂 How’s Storm? So pretty, I’ve not had much of a chance to use it yet though as I’ve been working a lot. It’s kinda more of an evening weekend palette! Yes.. even I’m yet to make full use of my i-divine palettes!